Here’s what’s up in the world of TV for Friday, April 27, and Saturday, April 28. All times are Eastern. 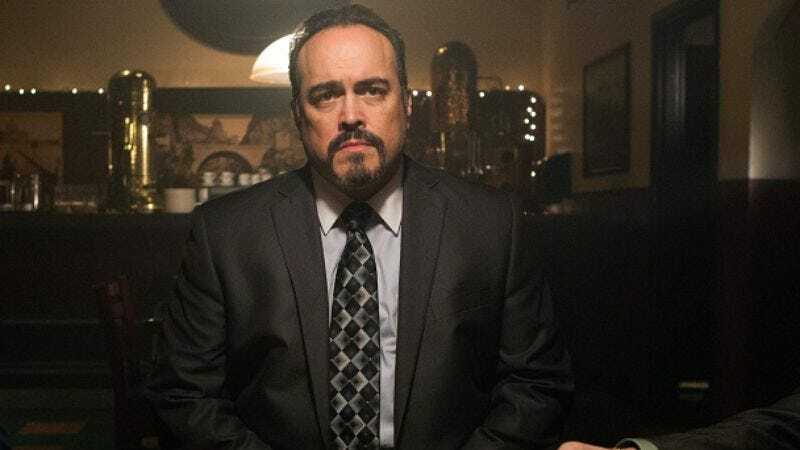 Grimm (NBC, 9 p.m., Friday): So last week, Kevin McFarland had the week off, and your ol’ friend What’s On Tonight thought maybe he would fill in for Kevin, despite not having seen the show since episode three. And surprise, surprise, what he saw wasn’t exactly amazing but was kind of interesting, in its own way. Is What’s On Tonight just that much of a softy for elaborate “secret history” plots, which is what this show is increasingly taken up by? Or has the show hit some sort of other gear, where everybody will be saying, “Oh, you’ve gotta watch Grimm” sometime next year. Only Kevin really knows! Fringe (Fox, 9 p.m., Friday): Hey, now that this show has gotten a renewal for season five, which will be the last, you can go right back to letting it pile up on your DVR and putting off watching it until… oh, right. You’d never do that, would you? Noel Murray knows if you do, the Fringe police come to town. Supernatural (The CW, 9 p.m., Friday): Tonight’s episode has a whimsical title—“The Girl With The Dungeons & Dragons Tattoo”—so we’re guessing the episode will end with everybody who’s ever been on the show dying for one reason or another. Phil Dyess-Nugent will enjoy the carnage, most likely. Magic City (Starz, 10 p.m., Friday): Why, look! It’s a Jackie Kennedy subplot, because you can’t have a good period piece without the female characters obsessing over Jackie Kennedy. Will Harris would probably let us know that’s fairly accurate to the period, but we don’t care. We’re still sick of it! The Legend Of Korra (Nickelodeon, 11 a.m., Saturday): A task force recruits Korra to help them remove Equalists, and if you’ve never seen the show, that probably sounds like a bunch of weirdness. Don’t worry, though. It will all make sense to you if you just read Emily Guendelsberger’s review. Veronica Mars (11 a.m., Friday): It’s the next to last time Rowan Kaiser will ever write about this show, which means that he’s having to split the series’ final two episodes—which originally aired in one two-hour bloc—in two. We hope he likes the agreeably grim conclusion when it arrives next week! Angel (1 p.m., Friday): Meanwhile, Noel Murray is coming up on the end of this show, though he still has a few more weeks before he gets to the genius that is “Not Fade Away.” Today, though, he has to contend with “A Hole In The World” and “Shells,” and just reading those titles makes us super sad. The Twilight Zone (1 p.m., Saturday): This week, the leader of a wagon train ends up in the future, which is one of those things that happened surprisingly often in the Old West. Todd VanDerWerff thinks time travel has been greatly improved in efficiency since then, but it’s lost the air of luxury it once had. With Great Power: The Stan Lee Story (Epix, 8 p.m., Friday): Do you have Epix? We don’t, but if we did, we might be tempted to check out this film on the life and times of comics legend Stan Lee, all the better to get ready for his inevitably strained Avengers cameo and lure his gimmick commenter back. Kate & Will: Happily Ever After (E!, 9 p.m., Friday): Hey, did you know it’s been a year since Prince William married Kate Middleton? We didn’t realize time had flown so quickly, but this new half-hour special drops in on the couple, and you can watch it if your life is actually just that sick and sad. Whale Wars: Viking Shores (Animal Planet, 9 p.m., Friday): While this new Whale Wars spinoff takes place in Viking territory—the North Atlantic Ocean—it, sadly, doesn’t seem to feature anybody dressing up like an actual Viking, which would have moved it to our must-watch pile. That’s really too bad. Embarrassing Bodies (Discovery Fitness & Health, 10 p.m., Friday): We kind of want to make one of our writers cover the debut of this new series that just puts everything right there in the title, but we’re guessing the show won’t be as horrifyingly riddled with exploitation of the unfortunate as it sounds like. Space Twister (Syfy, 9 p.m., Saturday): When otherworldly storms wreak havoc on our fair planet, a high school student’s science project might be the key to saving the world, because that happens all of the time, right? Marcus Gilmer takes the show on for us, because he loves tornadoes. IN SPACE!!! Cloudstreet (Ovation, 10 p.m., Saturday): The vague description of the series put out by the network—two working class families share a house in Australia—couldn’t possibly prepare Ryan McGee as he sat down to watch it. Apparently, it features talking pigs and has John From Cincinnati similarities. Sold! Bridesmaids (HBO2, 8 p.m., Friday): Consider tonight to be your chance to catch up on some wickedly fun movies with great female ensembles. You could try last year’s hit Oscar-nominated comedy, about the women in a bridal party and how everything goes south, both amusingly and scatalogically. Stage Door (TCM, 8 p.m., Friday): Or you could try something a little classier, which focuses on a bunch of young actresses living in a rooming house and a crackerjack ensemble led by the young Katharine Hepburn. If nothing else, this movie has a character named Sims. We think you all know just what to do. The Third Man (TCM, 8 p.m., Saturday): If you were making a “best movies of all time” list and didn’t have this hugely enjoyable tale of double-crosses and duplicitous Orson Welleses in post-war Europe on there somewhere, we’re pretty sure we’d ask you to stop being our friend. If only for the zither music. Stanley Cup Playoff: Phoenix at Nashville (NBC Sports, 7 p.m., Friday): Our dream of a Kings/Senators Stanley Cup finals (and a 5-6-7-8 semifinals in the East) appears to have been crushed by the Rangers’ win, but that doesn’t mean we can’t pretend to be excited Phoenix and Nashville have hockey teams! Community (Thursday): Haven’t seen an episode of Law & Order in your life? Check out Todd VanDerWerff’s review, then head down to comments to say if you agree or disagree with his assertion that this parody of the influential program only works if you’re familiar with L&O’s tropes.